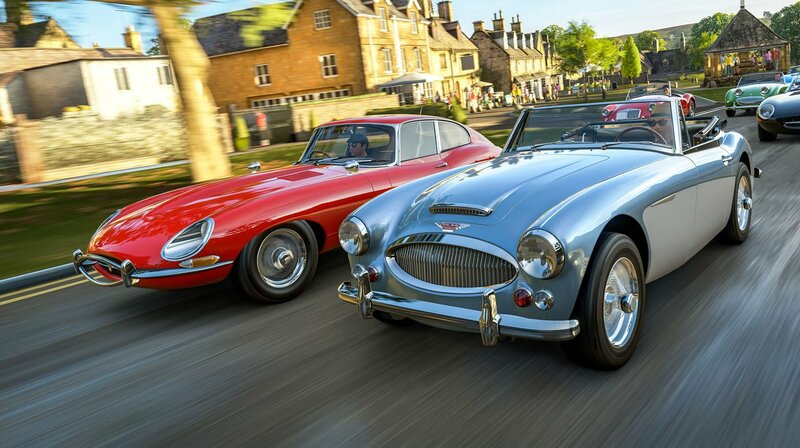 The crew behind Forza Horizon 4 have implemented a way for players to earn experience without having to play the game at all. Forza Horizon 4 has been getting quite a lot of attention from the folks at Shacknews, and for good reason: the game is rad. Rocking around the miniature UK is just as fun as it looks, and there's plenty of opportunity for players to unlock new cars and events. Of course, players need to earn Influence to do so, and as it turns out, the developers at Playground Games have included a way to earn experience while away from the game simply by watching Mixer streams. Of all the ways to earn Influence fast in Forza Horizon 4, watching Mixer might be the best. Though loading up a Mixer stream is certainly meant to foster active engagement among the player base, there's really nothing stopping someone from loading up a stream while they're cooking dinner, running errands, or even bored at work — just don't let the boss find out. The Mixer integration works both ways, too: players can stream their Forza Horizon 4 shenanigans to the service to earn extra Influence while they play, if they so choose. This tacks extra Influence on top of the Influence that will already be earned simply for exploring the map and participating in events. While we're doing public service announcements, it's worth mentioning that Forza Horizon 4 is currently featured in the Xbox Game Pass, and as a Play Anywhere title, it can be played on either Xbox One or Windows 10. As such, players who have a decent gaming PC and don't yet have a Game Pass subscription can sign up for the free trial and play Forza Horizon 4 for two whole weeks, entirely for free.